The NBA trade deadline has come and gone. This year’s deadline has been one of the most wild in recent memory, with a new trade seemingly happening every minute. Many teams made moves that may put them into the NBA’s upper echelon, while others dumped bad contracts in hopes of rebuilding. We saw the Melo-drama finally end, Deron Williams’ shocking departure from Utah, Boston’s puzzling decision to send Kendrick Perkins packing and a plethora of other moves. One team was quiet during this year’s trade deadline though, and that team was your two-time defending NBA champion Los Angeles Lakers. Despite heavy rumors surrounding the Lakers making a change and the belief by many that the Lakers needed a change in order to 3-peat, Lakers’ General Manager Mitch Kupchak stood pat. 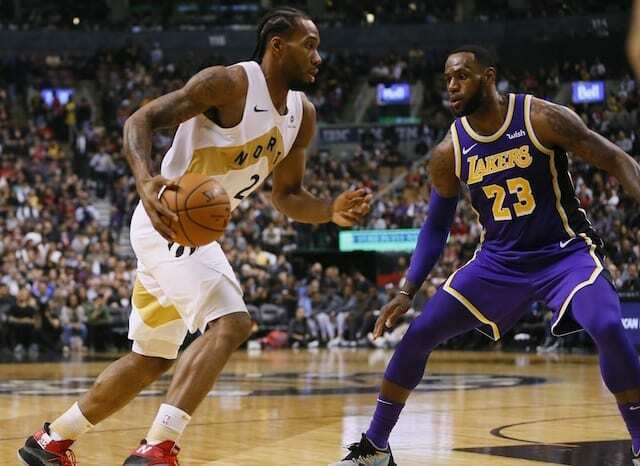 Even after an embarrassing end to the annual Grammy road trip, the Lakers did not push the panic button (perhaps because management knows that the Lakers do not need to trade for that much-needed spark, as he will be making his comeback soon). That spark is the feisty, yet tough small forward Matt Barnes. All the lakers need to do is intergrate caracter,and ebanks in to the line up.These young players bring energy and hustle to the line up and tuffness.But they can;t do by sitting on the bench. And why do jackson keep playing walton, when one of the young players could gain much needed experience.